Several people have asked me how I came up with this story idea and I tell them that this was simply a story I thought needed to be told. I was sick and tired of reading the same old, same old. I do believe there has been some excellent books in the past few years that have come out but I wanted a book about a real woman. I wanted a book that people could relate too, a character that was pretty normal but thrust into extraordinary circumstances. I wanted to portray a real woman. Not some little girl who can’t make up her mind or say “Oh my” every other sentence. I wanted to create a woman that was strong, but vulnerable. A woman who could swear with the best of them and joke around but also understand when a situation calls for seriousness. I wanted a character that I could root for. Willa McCormack is feisty, stubborn, funny, and fiercely loyal. She has no baggage, she’s had a pretty normal life, she has a great relationship with her parents, she is just your average girl next door. When she finds out that her parents are not who they say they are, it takes some convincing and explaining, but she deals with it and moves on. She doesn’t wallow around “Oh poor me” the whole book. There is one scene where she does take a few mental health days when she gets to the island though. I wanted to add that because I felt like in the beginning when she was told and shown all these amazing things, she absorbed it but if this was me, once the danger was over, I would need time to acclimate to my new environment. Willa deals with most things head on. The only two people she holds back a little is with her grandmother and Mathias. Winifred, her grandmother, is very weary of Willa at first and doesn’t want to even acknowledge her existence. Since Willa is the first child ever born from a Gypsy and Fae coupling, this scares Winifred. She, as queen, is immediately worried about the safety of her people and what might come about having Willa around. I also wanted the readers to realize just how dangerous Willa could become but I didn’t want to get into all the Fae details until book two. 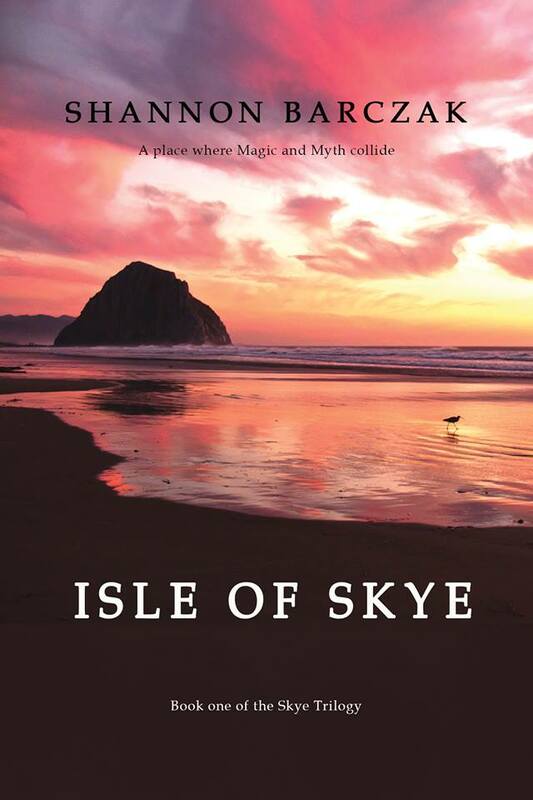 Book one is about Willa’s journey both psychically and emotionally to the island. Her grandmother plays a key role later on in helping Willa discover more about herself. Near the end of book one you see their relationship turn more friendly and at the beginning of book two an event that occurs brings them together even closer. I knew right away what I wanted in a male lead. I didn’t want some guy who would read poetry and profess his undying love immediately. Mathias is more of a guys ‘guy’. He has spent his whole life as a human and a vampire living up to a certain code. A code that he is determined not to break. He doesn’t talk about his feelings, he doesn’t let Willa push him around, he’s a man. I struggled with doing the whole ‘true mate’ thing but in the end I wanted Willa and Mathias to have this intense connection. I also wanted it to be a connection that they both try to fight. Mathias is complicated, he jokes around with her but then he pulls back. They have a few spicy encounters but I didn’t want them to jump into bed together. I just felt that was completely unrealistic. Finally at the end of book one, Willa calls him out, and he runs. I’m not going to say what will happen between Willa and Mathias but I will assure readers that by the middle of book two their relationship will be resolved one way or another. ‘Isle of Night’ will have a lot of answers but it will also propose many more questions. I hope you as excited as I am to find out what they are. I just want to thank you in advance for all the sleepless nights I am going to have for the next few days. I started reading and now I don’t want to sleep or go to work. It is very good so far, I love it!! Thank you! Sorry for any lost sleep but that’s music to my ears!